It is the second chance that Albuquerque’s Joby Sanchez has been waiting for. 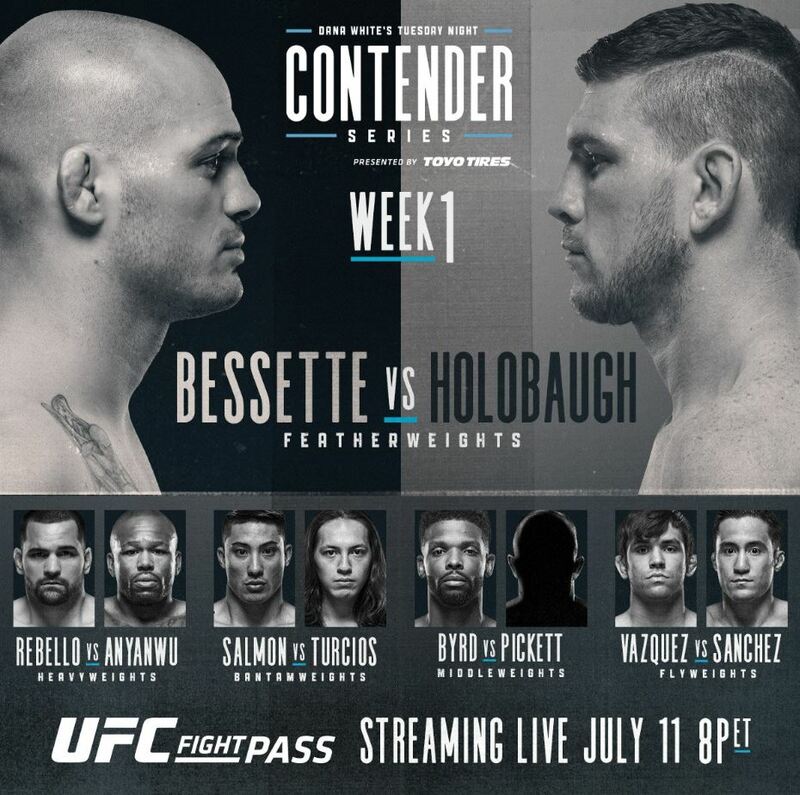 On Tuesday, July 11, Sanchez (9-2) will be returning to a UFC octagon as the opening fight for Dana White’s Tuesday Night Contender Series, a new weekly series which will stream live on UFC Fight Pass. The series brings together UFC hopefuls looking to get on the promotion’s roster, and veterans looking to get back. “This is my opportunity and I’m going to do it right,” said the 25-year-old Sanchez who will be facing Manny Vazquez (11-2) of Illinois in the opening bout of the premiere for the series Tuesday night on UFC Fight Pass. Sanchez’s last fight with the UFC was in December of 2015. In over a 16-month stint he accumulated a record of one win and two losses with the mixed martial arts’ top promotion. After his second loss, Sanchez was cut from the UFC roster. Since his last fight with the UFC, a second round TKO loss to Geane Herrera, Sanchez has gone 2-0 outside of the promotion but has dealt with a lot of uncertainties about himself during his time away from the big show. In his bid back, Sanchez will be accompanied in his corner by east coast boxing coach Matt Phinney, formerly a striking coach for former UFC Middleweight Tim Kennedy. Also joining the Sanchez-team for fight night is Cameron “Camchida” Else, a bantamweight signed to Bellator and Sanchez’s teammate at Jackson-Wink MMA Academy. Both men have been instrumental in helping Sanchez anew his confidence and prepare for his potential shot back into the spotlight.